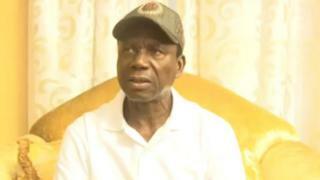 Image example Oga Akpo Yeeh allege say one faction of APC hijack di party structure. Di deputy governorship candidate for di African Action Congress (AAC), Mr Akpo Yeeh don announce im resignation from di party. Oga Yeeh wey be di running mate of AAC governorship candidate, Awara Biokpomabo for inside letter say im don defect to di ruling Peoples Democratic Party. For im letter, e tok say im take di decision sake of alleged hijack of di party structure by faction of di All Progressives Congress (APC) for di state. Im also allege say di leadership of di APC faction "assure dem of victory at all cost even though im former party no print any posters or get any candidates for di national and state assembly polls. National Chairman of di PDP, Uche Secondus and di state governor Nyesom Wike and oda party leaders receive oga Yeeh.